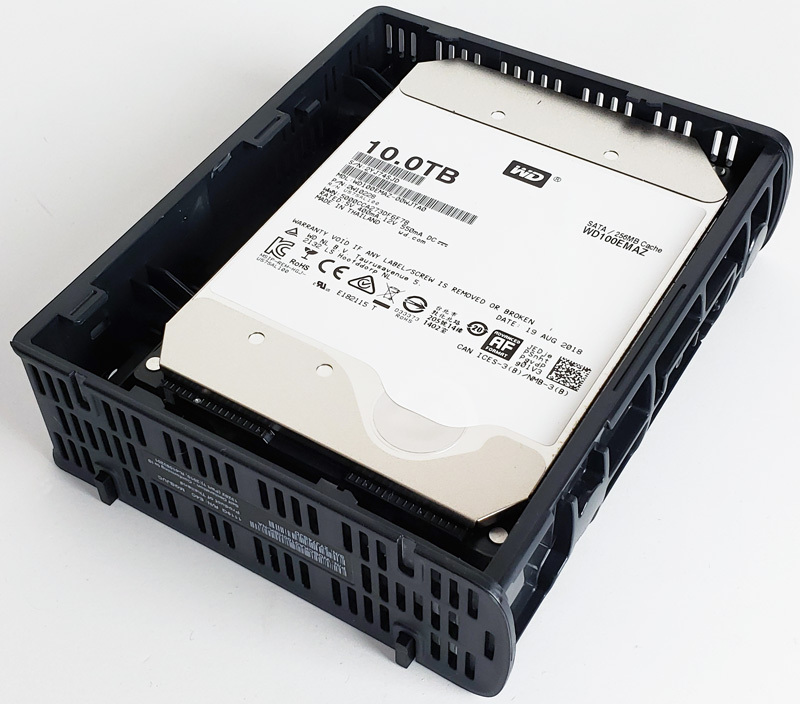 For many organizations, 10TB external hard drives to provide NAS backups or even to send as a basic form of offline data transport make sense, especially at these prices. Indeed, just AWS data transfer costs on 10TB will exceed the price of two of these devices plus overnight delivery making them a viable transport option, especially where WAN connectivity is weak. These Western Digital 10TB drives have a secondary use, namely as a less expensive way to get internal hard drives. 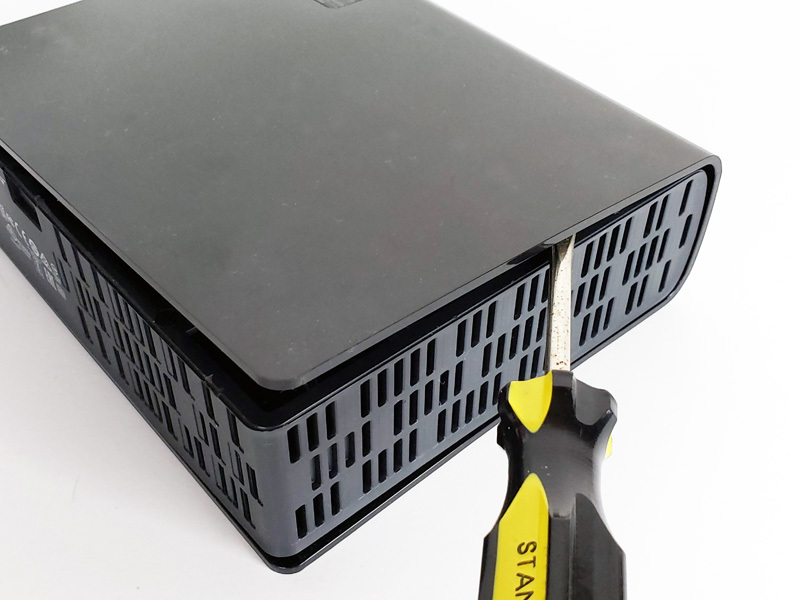 Inside the WD Easystore 10TB external devices are 10TB helium-filled SATA III hard drives. These are generally white label WD WD100EMAZ 10TB hard drives but we have heard of some containing WD Red variants. In either case, at this time WD 10TB Red NAS drives are going for over $300, so these Easystore drives are an excellent price. 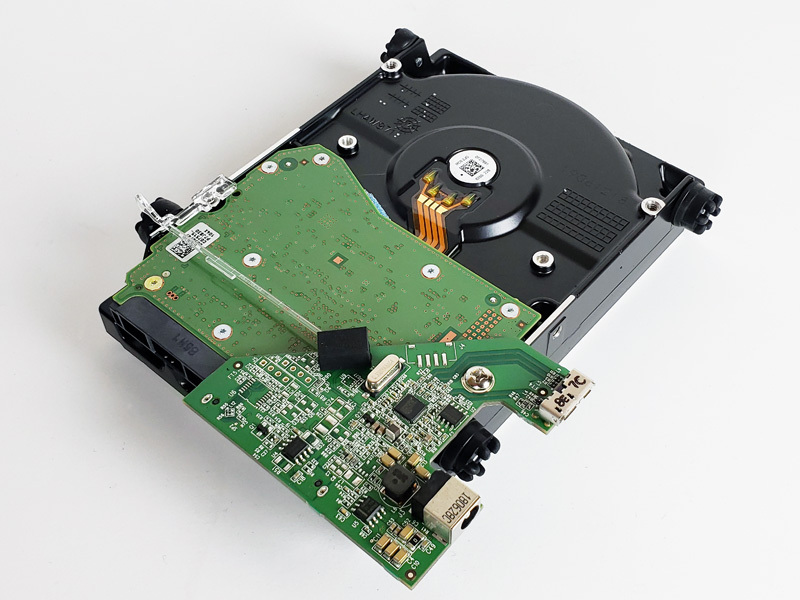 Back in 2011, we discussed the value of a hard drive warranty versus shucking drives from external devices like this. At STH, we purchased several dozen of these kits and wanted to take a look at just what we got in the process and share some of our experiences shucking the drives. Instead of focusing on a USB 3.0 external enclosure, we are just going to show what our readers are doing and we have done in the lab. We are going to liberate these 10TB drives from their enclosures. 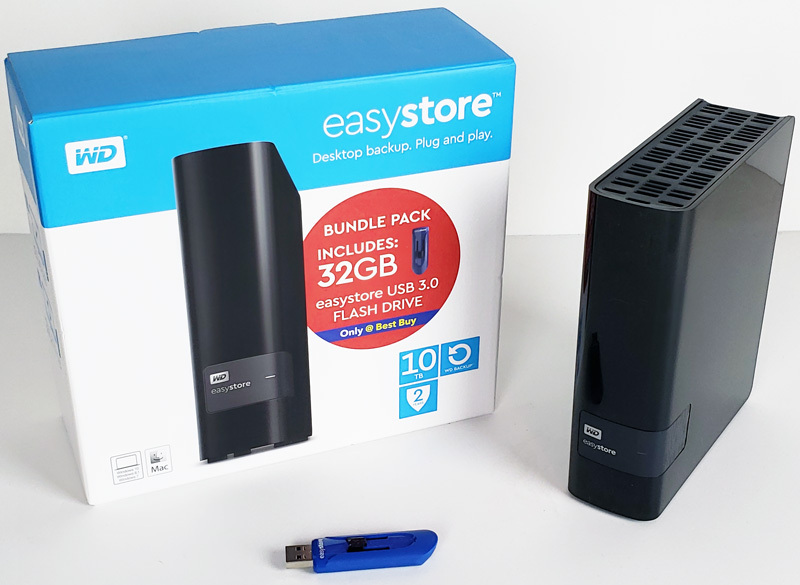 The WD Easystore 10TB drive comes as a regular USB 3.0 storage device; we purchase these kits to shuck the drives out and use them in our large NAS storage boxes or servers. There are plenty of videos that show how to shuck the drives. 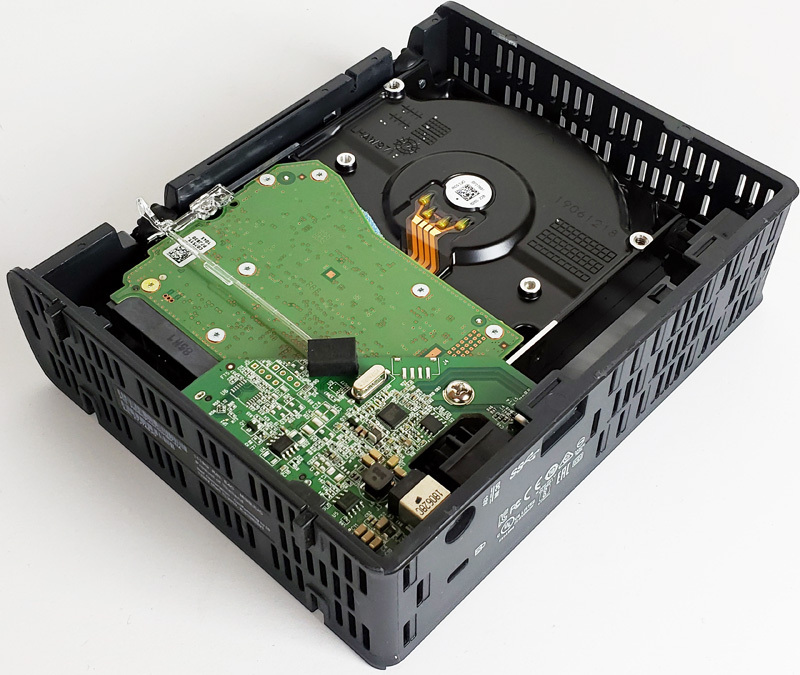 It is rather simple to do, and if you take care, you can reuse the enclosure itself, even install another SATA HDD inside and continue using the drive enclosure. The other option is that you pry for speed and discard the enclosure. We used the clumsy method with a screwdriver and popped the other case off with no issues. After removing the outer shell, we find a WD100EMAZ 10TB white label HDD inside. This is a helium-filled 256MB cache drive, like the WD Red 10TB solution. Flipping the enclosure over we see how everything is laid out inside the kit. The small circuit board inside is merely a USB to SATA adapter and power port to supply power to the drive via a small power brick. 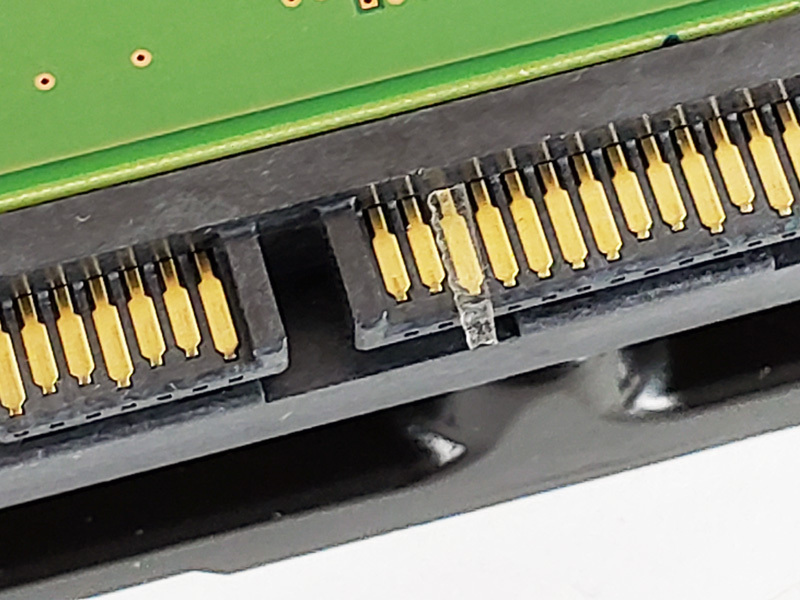 The PCB is held in place by one screw. We have taken all the parts out and ready to start testing the HDD. Here we have the entire enclosure taken apart; there is a small number of parts, the unit can be put back together and reused, even with different SATA HDD. With older power supplies you might find the WD100EMAZ will not show up at all in your BIOS or Windows. We had this issue on our test bench and found we required the 3.3V Pin mod to have the drives work. Just cover the 3rd pin with tape or non-conductive/ corrosive varnish to stop electrical current from passing. Most of the systems we review these days are 2.5″ bay systems but we have a stack of these drives on hand that we use to test in servers. You may also notice that there are five servers on that list we have not reviewed. It may be a glimpse into some of the server reviews we are doing in Q1 2019. Next, we are going to look at the software before focusing on drive performance.